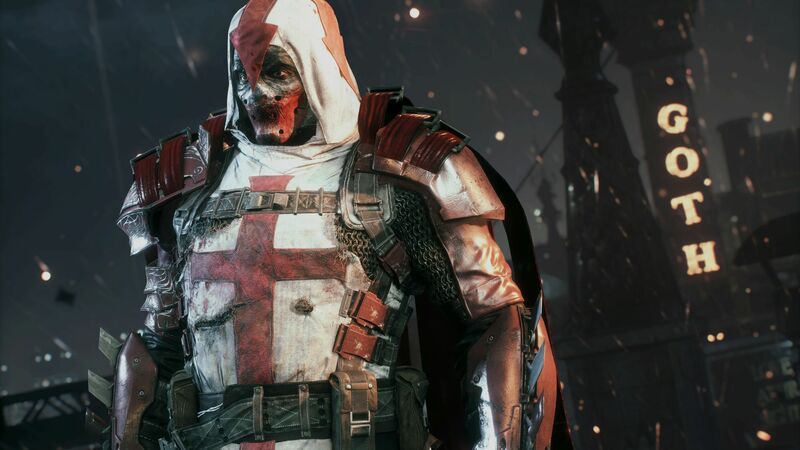 The upcoming fourth entry into the Arkham series, Batman: Arkham Knight is looking to do something a bit more with the game than previous entries. 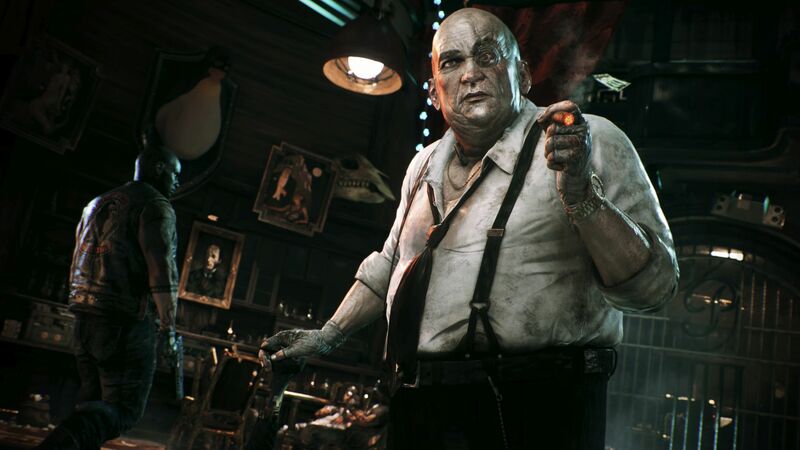 The fact that it's being developed exclusively for next-gen and PC will certainly help with this pursuit, as Rocksteady is no longer constrained by eight-year-old hardware. For starters, the explorable city was described as being five times the size of the previous entry, which is a feat in itself, given the complexity of the landscape. 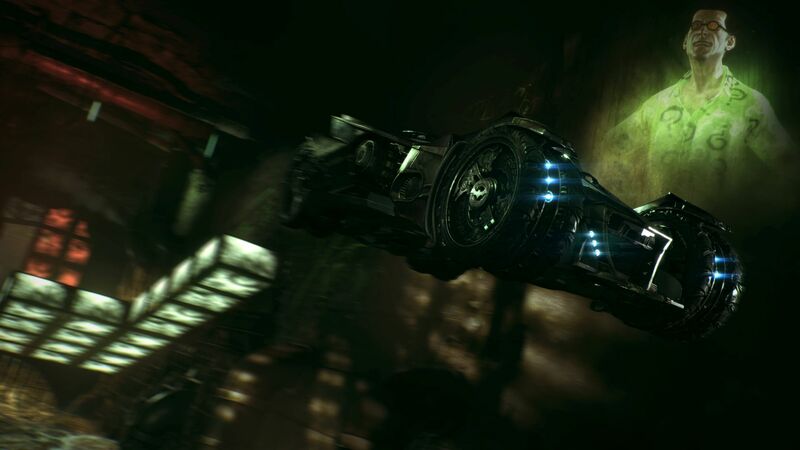 Additionally, Arkham Knight is bringing a ton of new gameplay styles into the mix, with a particular focus on the versatile Batmobile. 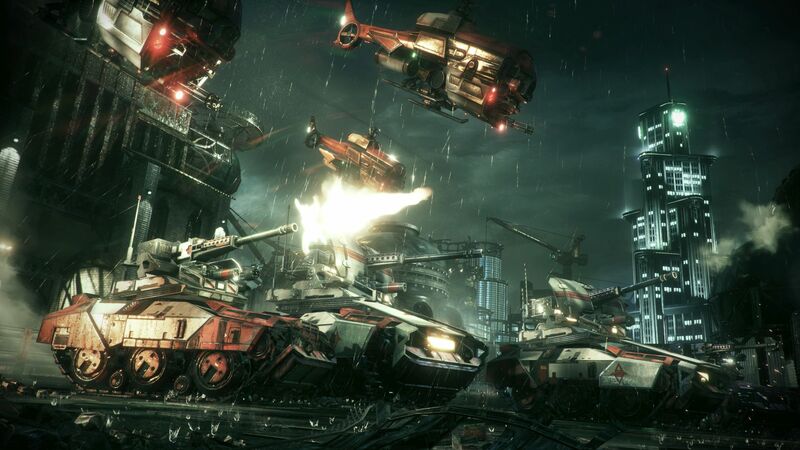 The hands-on demo offered a glimpse into these various gameplay styles, from small-scale hand-to-hand combat to navigating an obstacle course in the Batmobile. 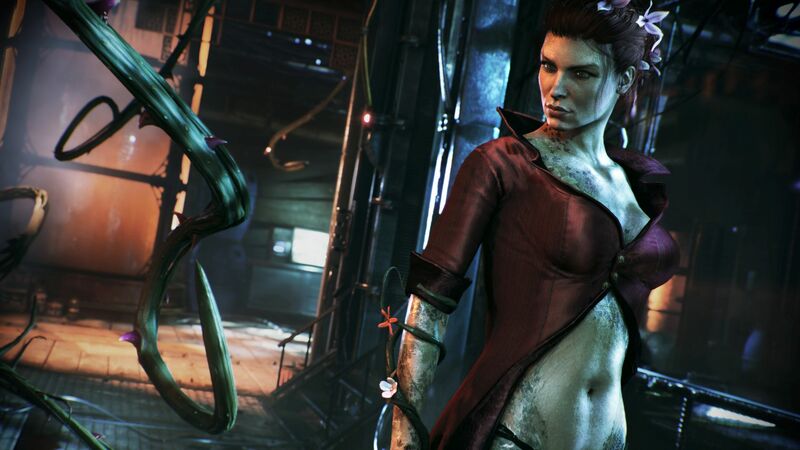 Each gameplay style is (or at least was for the demo) associated with one of the villains of the game. Penguin, for example, was tied to the dual combat mechanic, where you get to fight alongside an ally in frantic tag-team combat. The breadth of variety in gameplay styles, while absolutely a blast to explore, does make one wonder whether you'll actually get to focus on what you like most, or if you'll be spending as much time playing through your least favorite segments as your most favorite over the course of the game. All that said, I do suspect that many fans of the franchise will enjoy virtually every style in equal parts, and for entirely different reasons. There were entirely too many segments in the demo to detail every one, but it's definitely worth highlighting some of the most exciting, which stood out as being particularly novel or fun to play. First, the melee system is going to be super familiar by this point, though there's a new twist with the dual combat. 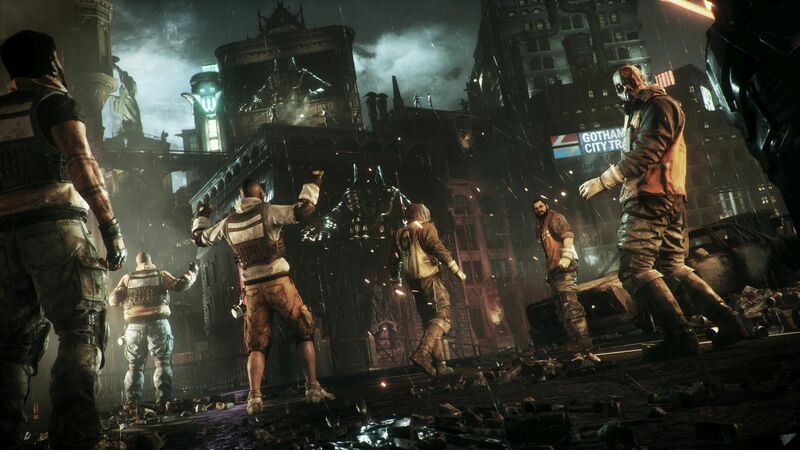 Instead of four or five foes, the demo had you taking on something like 20 or more simultaneously, which might be a slog for Batman by himself, but when he's got an ally at his side - which grants access to the tag-team maneuvers - things get particularly exciting. You can switch between heroes at will, but the real fun comes in the cooperative finishers. In one case, Batman threw an enemy into the air, where his ally acrobatically jumped in and took him down. While the end result is the same for each of these team takedowns, the varied animations keep them exciting to perform. As above, The Riddler's section consisted of an underground obstacle course that you have to navigate in the Batmobile. It's incredibly well put together, and many of the obstacles can be interacted with, like opening doors and retracting or extending bridges across gaps too large to jump. There is, of course, also the wall-and-ceiling driving. Under the right circumstances, Batman can climb up the side of a tunnel, and corkscrew his way across even the largest of pits. It takes some getting used to, of course. People aren't meant to drive upside down. But when you finally nail the maneuver, you can't help but feel a sense of smug satisfaction, possibly while muttering, "Screw you, Riddler." Additionally, there's the vehicle combat. Holding left trigger will transform your speedy car into a walking tank, complete with devastating armaments. in the demo, you had to take on a small swarm of drones in an enclosed area, limiting your ability to get out of line of fire. Fortunately, the system in place highlights these lines of fire from your enemies, so you can easily navigate around them via the dodge boost. As you dart around dodging enemy fire and taking down drones, you'll fill up a combo gauge. At the halfway mark, you'll get to launch a missile at any target, which seeks out and destroys whatever you're pointing at. If you manage to fill your meter all the way, it'll send out a salvo instead, taking out multiple enemies in a single barrage. Batmobile combat is definitely fun, but the tank mode is still a tad clunky, and the demo itself didn't offer too much of a challenge. It's not nearly as fast-paced as the melee fighting, seeming more tactical in nature. When you see a grid of enemy fire all around you, but you manage to precisely dodge every incoming shot, you can't help but feel a little pleased with yourself. These were only isolated segments, however, and navigating the city between segments is just as big a part of the game as any particular gameplay style. Navigation continues to be fairly straightforward, while still offering a bit of excitement as you soar across the city, grappling from building to building. Being able to drive the Batmobile mostly wherever you choose gives you another option in how you want to get around. 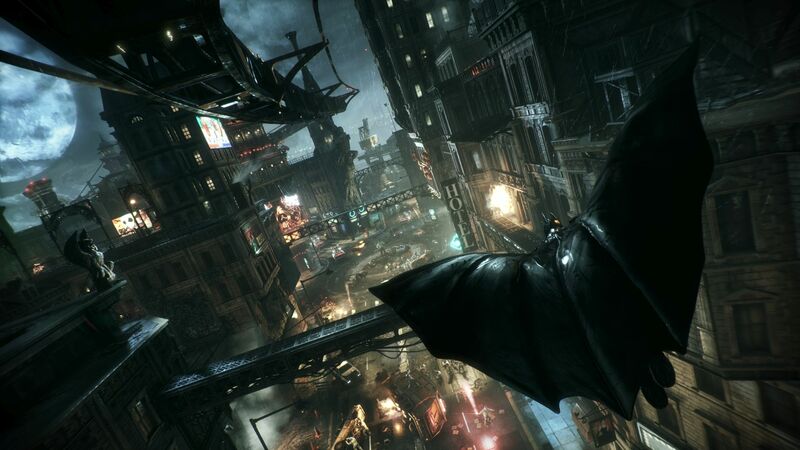 Even if you have no idea where you left it, targeting the street from a rooftop will send you swooping down, with the Batmobile meeting you on the ground. This kind of seamless transition from grappling to driving stacks up favorably as compared to being forced to do one or the other in any given situation. It's also worth noting that the Batmobile has a remote control option, so you can get yourself into a favorable position, then have the Batmobile do the heavy lifting for you. Finally, you've got the RPG-like upgrade system. 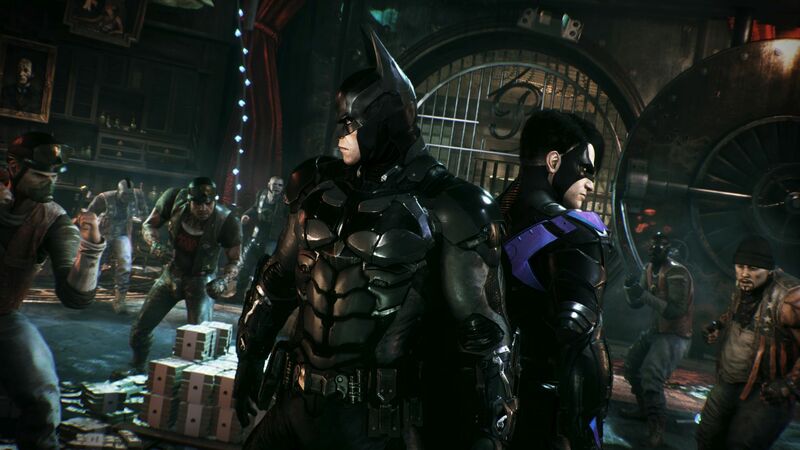 As you complete missions, you'll earn upgrade points, which you can spend on either yourself or the Batmobile. 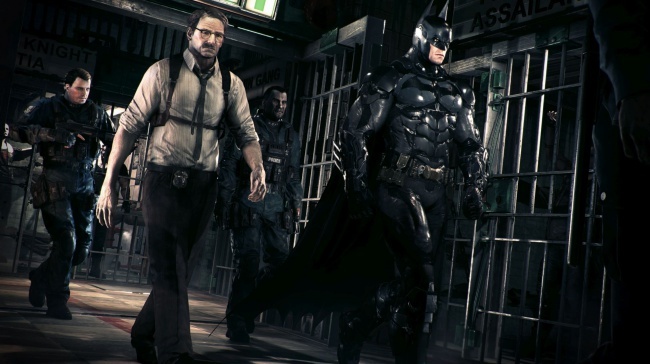 Whether you want to focus on improving your Bat-gadgets or improving certain functions of the Batmobile, you'll get to tailor your game to your own style of play. If you're spending most of your time driving around the city, you can focus on improving your ride. If you're constantly zipping from building to building, you'll probably focus instead on improving Batman himself. Franchise fans will find everything they already adore about the series, with an array of new features to keep things fresh. Navigating the streets in the Batmobile, instantly switching to combat mode to take down an upstart villain, and even controlling the Batmobile remotely while you lurk in the shadows and wait for the perfect moment to strike all integrate to the Arkham experience flawlessly.